Three NCAA championships in five years set an exceptionally high standard for the Duke Blue Devils’ incoming class to start the 2015 season. Winning back-to-back titles in 2013 and ’14, following the program’s first in 2010, Duke had made it to Final Four Weekend in nine consecutive years up to that point back then. However, even while continuing to earn a spot in the postseason tournament over the past four years, this year’s graduating senior class, led by Tewaaraton Finalist Justin Guterding, has not finished better than the Quarterfinals. Getting to the Final Four milepost and past it will check off another item on the list Guterding and his teammates put together at the beginning of the season. With No. 4-seeded Duke carrying a 14-3 record into its matchup against fifth-seeded Johns Hopkins (12-4) at Navy-Marine Corps Memorial Stadium in Annapolis, Md. on Sunday, many will not only be watching to see if the Blue Devils return to the Final Four, but whether Guterding will assume the NCAA’s top spot in career goals scored. He currently sits with 204 career goals, two shy of former Duke standout Zack Greer’s 206, is Duke’s current second all-time leading scorer (334 points), and also holds the current NCAA consecutive game goal-scoring streak (144 goals in 44 games). Though asked about his individual scoring marks, he refocused the point toward earlier-season shortfalls that the Blue Devils have worked on to ensure they continue following their path to Championship Weekend in Foxborough, Mass. With five postseason games to his credit, Guterding has tallied 22 points (12G, 10A), so surpassing Greer’s mark against the Blue Jays is a likely possibility, depending on how they choose to defend him. He’s not concerned whether he’s shut off or double-teamed because he’ll get his when his teammates do. Following last week’s 17-11 opening-round win over Villanova, he feels good about where the Blue Devils offense stands. Leaving a legacy of accomplishment for rising upperclassmen to follow has been a trademark of each Duke graduating class. This year’s squad intends to be the one to at least restart the trend to make it to Championship Weekend and beyond. With the Blue Devils’ past success, deep with NCAA Tournament champions as part of making 12 consecutive postseason appearances, one would think that some motivational messages and well-wishes have filtered back to campus from former players. Apparently, that’s not the case – that’s not the Duke way. As each of Duke’s championship teams have had some signature style of play led by specific individuals, Danowski truly believes this is “the most unique team” he’s ever coached. 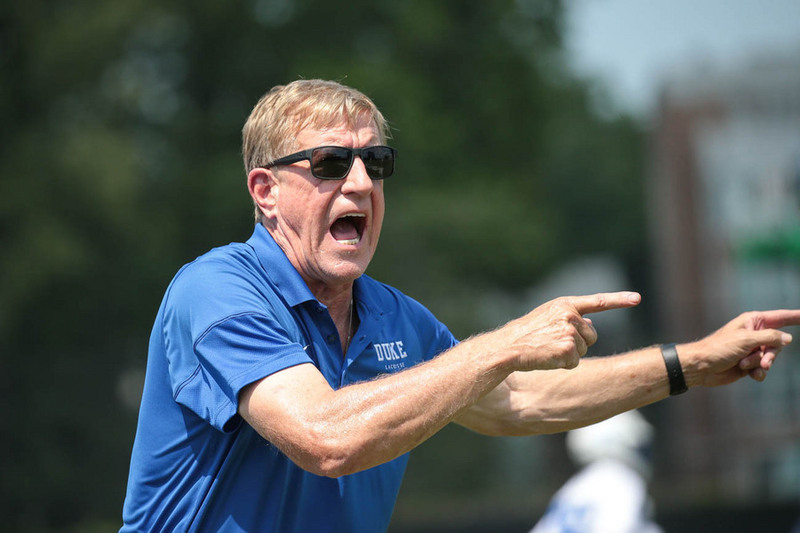 Danowski also pointed out that this year’s squad is as good as any that has coached. With that said, it is apparent that the selfless nature of this group has put it in a position to reestablish Duke at a level of stature back near the top, from both an individual and team point of view.